Summer Solstice Observance set for Frank’s Hill – Thursday, June 21st | Three Eagles Foundation, Inc. Summer Solstice Observance set for Frank’s Hill – Thursday, June 21st | Three Eagles Foundation, Inc. The public is invited to Frank’s Hill in southern Richland County to observe the setting sun on the longest of day of the year, the summer solstice. The official start of summer will occur at 5:07 a.m. on Thursday, June 21st. All are welcome to join the Three Eagles Foundation on the hill to view the first sunset of summer. Early risers also may enjoy the glorious sunrises from the site. Weather permitting, the Three Eagles Foundation will provide a guided tour and campfire. Stargazing will follow the sunset with planets Venus and Saturn visible. Those who are unable to attend the June 21st event are welcome to visit the site on their own. Frank’s Hill is a small knoll peppered with effigy mounds that offers a commanding view of the lower Wisconsin River valley. The neighboring ridge to the west contains a group of small conical mounds thought to be calendar mounds that track the setting sun from May 1st to the summer solstice and back. 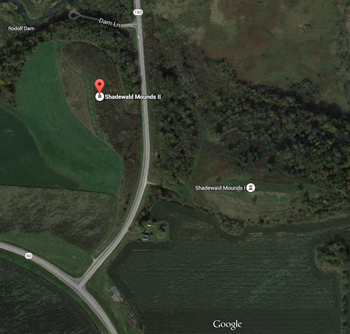 The property, formerly owned by Frank Shadewald, is located on STH 193 just off STH 60, a few miles west of Muscoda. Participants should arrive by 7:30 p.m. to have time to walk around the mounds and should be there by 8:00 to view the sunset. Those attending should bring chairs or blankets and insect repellant. Also, feel free to bring a telescope or good set of binoculars and a camera. Directions to Frank’s Hill are as follows; from the north end of the Muscoda bridge at the intersection of STH 80 & 60, drive west on Hwy. 60 for two miles and turn north on STH 193. Park by the first gate on the east side of the road, a short distance from Hwy. 60, and walk to the top of the hill. For questions regarding the event, contact Dave Martin at (608) 739-4198 or Mark Cupp at 739-3188. More information on Frank’s Hill may be found at the Three Eagles Foundation website at www.3-Eagles.org or by visiting the Foundation’s Facebook page.